As an avid gardener, I battle weeds all the time, and one day as I was pulling out a patch of stubborn chickweed, I got to thinking "what if?" What if the weeds were even harder to remove? I researched ways plants fight for dominance, and learned that some spread by seed, some by roots or rhizomes, some by breaking off pieces of themselves. Other plants basically poison the soil around them so other plants can't grow. Some even encourage ants or other insects to do their dirty work for them by cutting down the competition. So then I wondered how a plant might acquire all the most beneficial traits for itself and become a superweed. 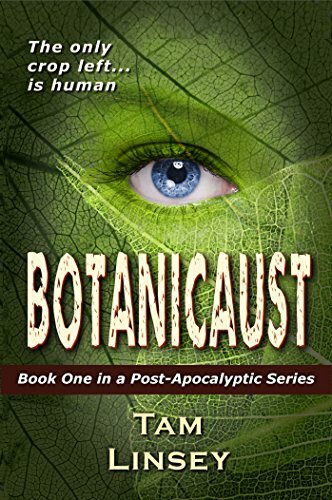 So Botanicaust was born; a GMO crop escaped into the wild and decimated all plant life on Earth. If a GMO crop escaped into the wild and decimated all plant life on Earth, how would humanity survive? I really had fun with this idea. The main character, Tula, is a produce of genetic modification herself; she has photosynthetic skin, and therefore she and her people make calories out of sunlight. They need far less food to survive. And, of course, they believe their solution to hunger is the only solution, which leads to all kinds of conflict when they meet people who don't agree.